The Flash 150 Pump has been designed to meet the requirements of most Flash Chromatography applications with very high performance. 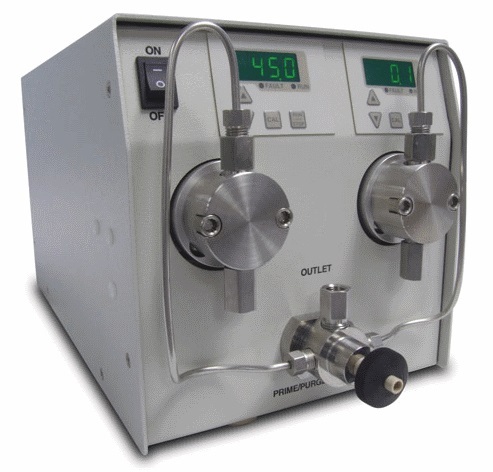 The Flash 150 Binary consists of two (2) single-head positive displacement (piston) pumps that deliver precise flow rates up to 300 mL/min isocratic and 150 mL/min in a gradient mode. 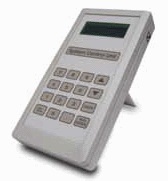 Flow accuracy can be optimized for various solvents using the calibration feature built into the pump’s front panel. These pumps are superior to gear, diaphragm and peristaltic pumps and operate at higher pressure for use with columns thus providing greater performance at an affordable price. See the Flash 100 and Flash 300 for Binary Flash or Preparative Chromatography.